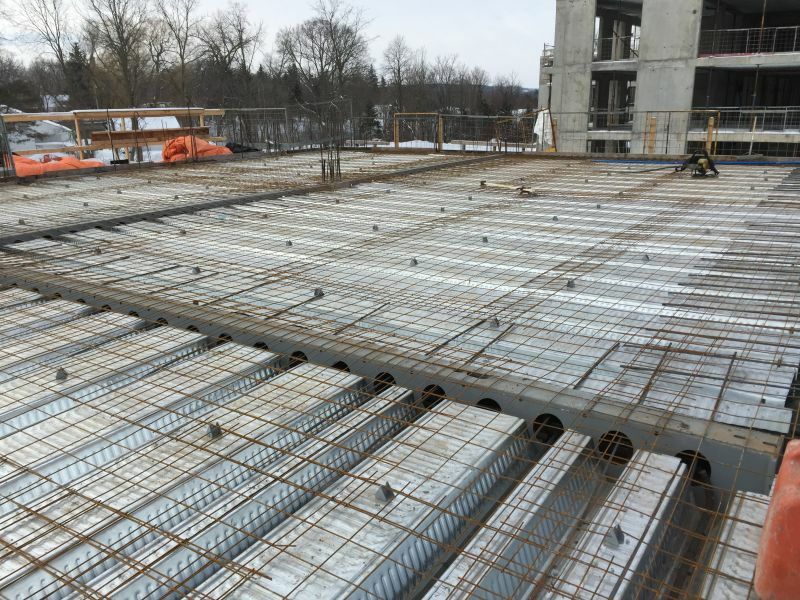 The Sugarcreek village project currently under construction on London, Ontario utilizes a new building system that enables a combination of long spans and slim floor structure. Through the use of the DELTABEAM® system, Oldoak properties was able to optimize the design of the underground parking and reduce the overall height of the project. 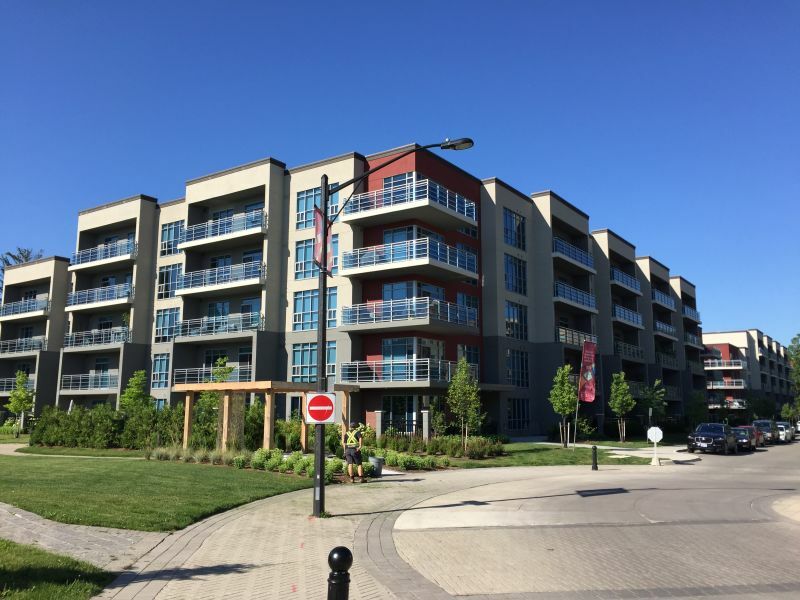 Sugarcreek village consists of two buildings, each 5 storeys high, connected together by an underground parking. 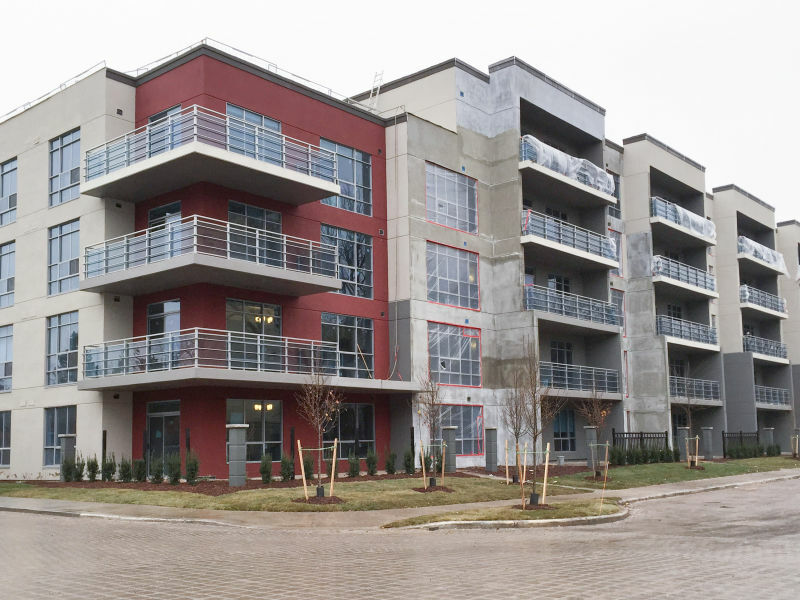 Designed by SRM architects inc. and MTE consultants inc., this new apartment building incorporates DELTABEAM® combined with the Comslab corrugated deck system. 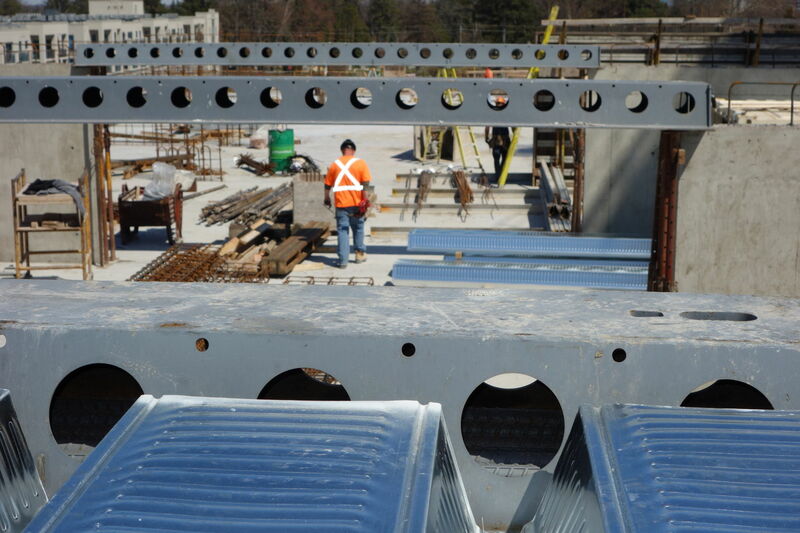 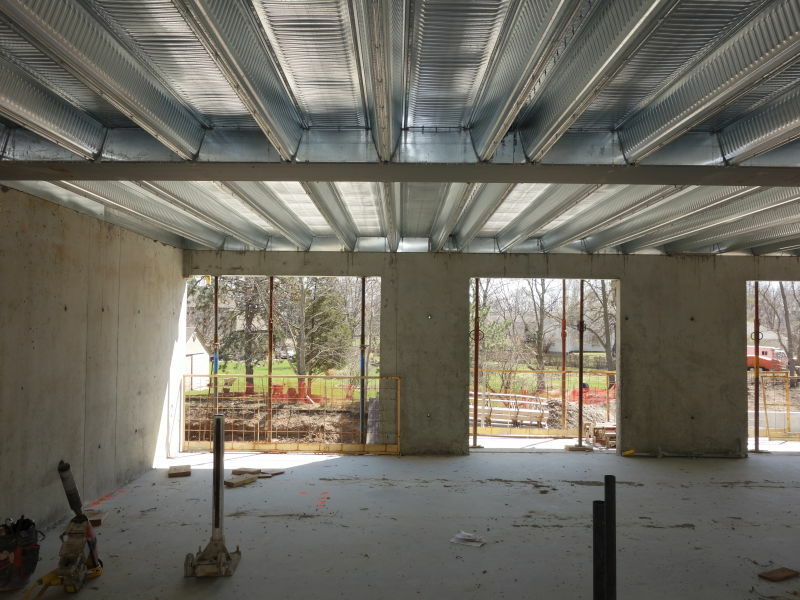 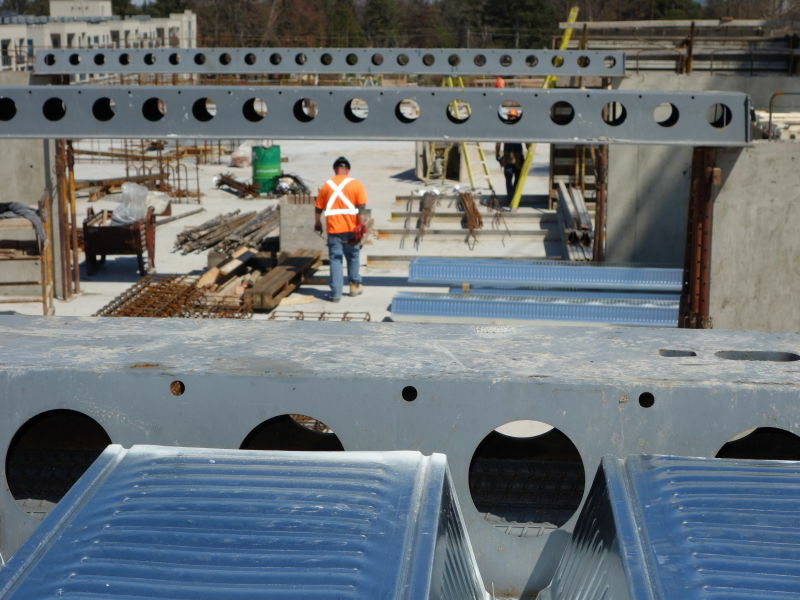 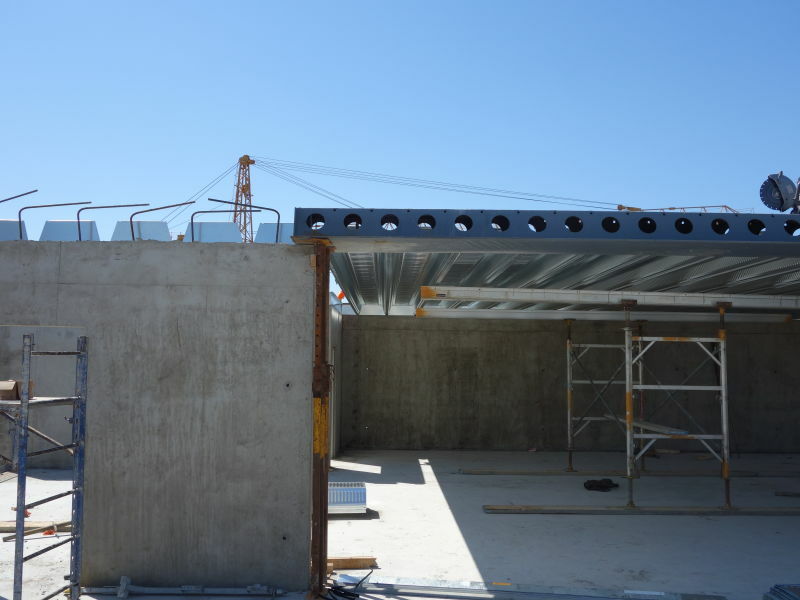 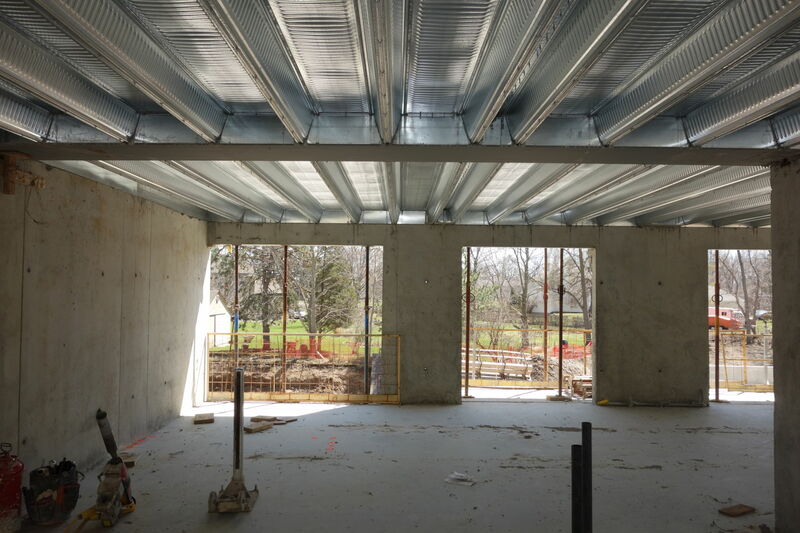 DELTABEAM® is a shallow steel beam designed for slim floor structure: encased in the concrete floor, DELTABEAM® is hidden in the floor structure. 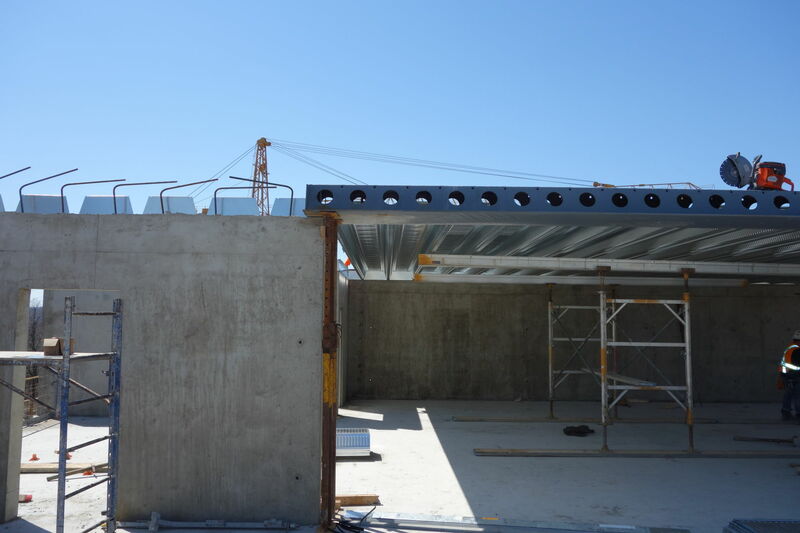 This enables easy HVAC integration, increased architecture flexibility and can reduce the overall height of a building. 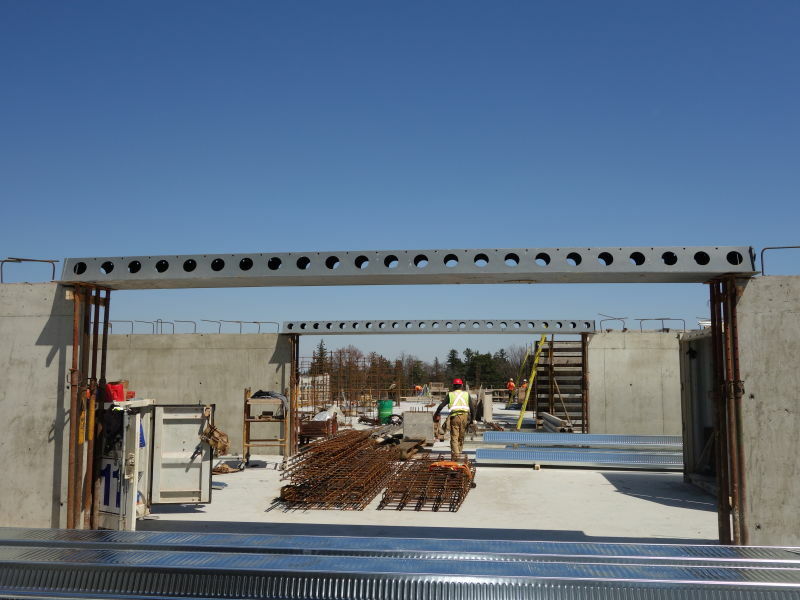 On the residential levels of Sugarcreek Village, DELTABEAM® spans across the equivalent of the driving aisle, making it possible to avoid all load transfers at ground level. 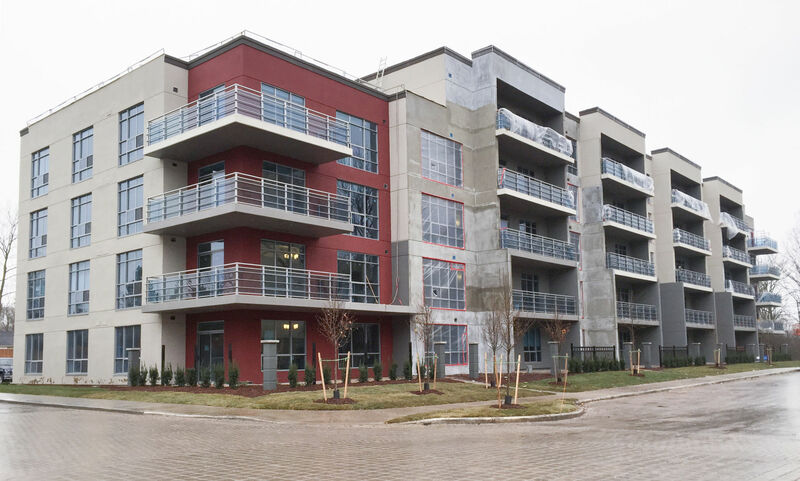 ‘’With the DELTABEAM® System, we were able to avoid costly transfer beams at the ground level of Sugarcreek Village’’ says Ryan Peel, Manager of Development and Construction at old oak properties. 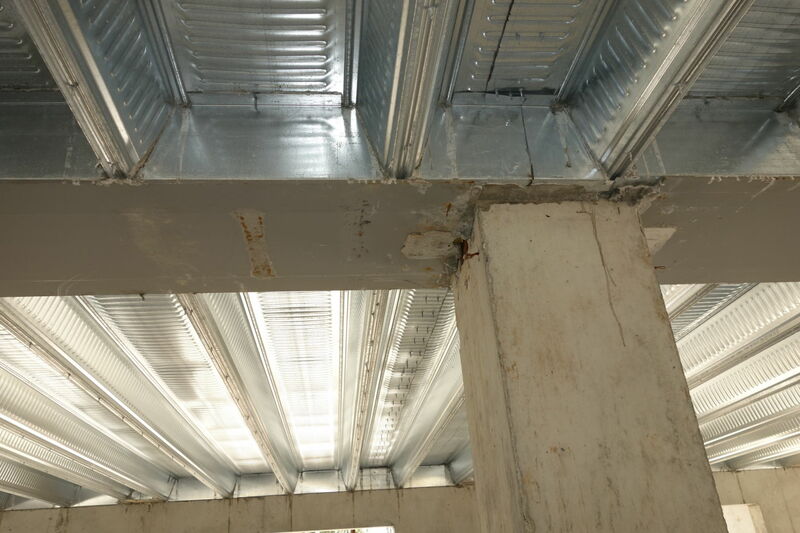 ‘’With the exposed steel integrated fire rating of DELTABEAM®, we are avoiding having to fire proof the exposed steel and therefore avoiding another trade onsite’’. 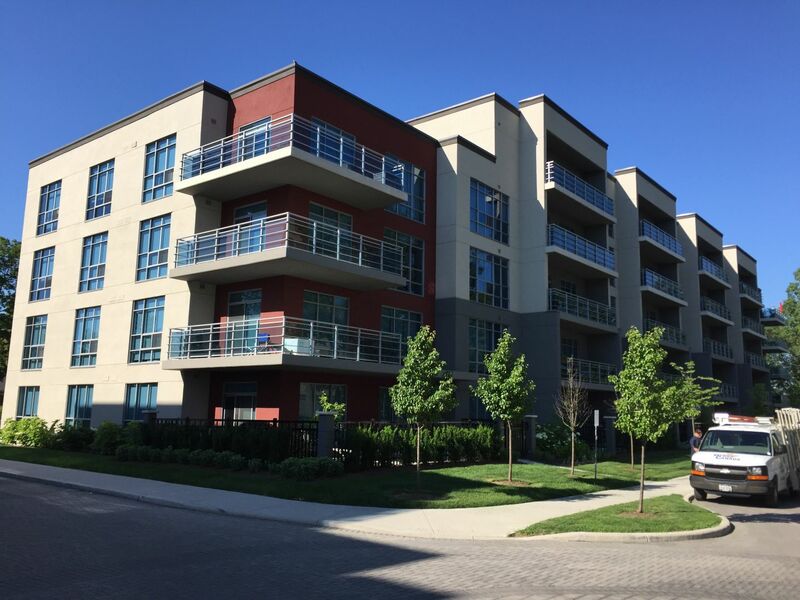 Old Oak Properties is a developer and builder of premium residential, commercial and retail properties in London, Ontario since 1955. 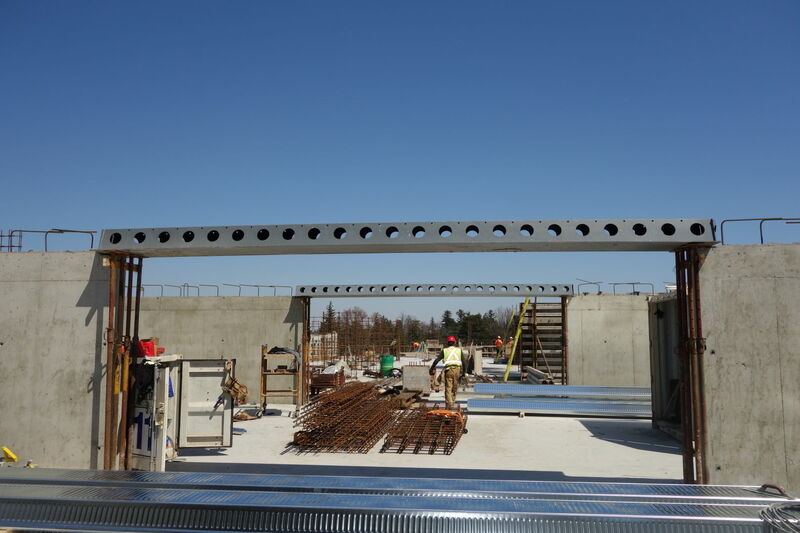 "With the exposed steel integrated fire rating of DELTABEAM®, we are avoiding having to fire proof the exposed steel and therefore avoiding another trade onsite."